Hope Animal Shelter opened its doors in Marana in August 2015. 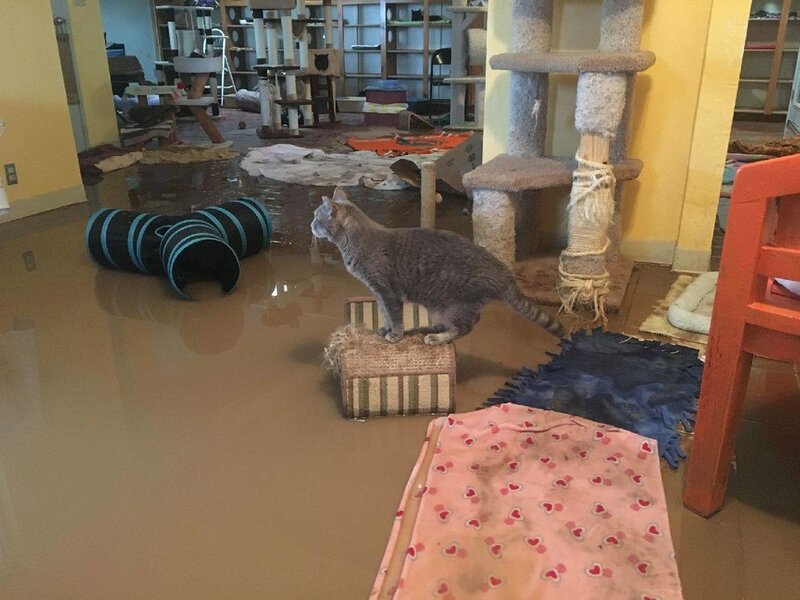 Yesterday’s flooding destruction is by far the worst they have seen. Tuesday’s monsoons flooded much of the outdoor facilities and all the rooms in the shelter. The roof is also leaking in many locations. Town of Marana Animal Services will be collecting donations for the next week. The shelter is in need of cleaning supplies, trash bags, dog and cat food, and general animal supplies. Donation can be dropped off at the 1st floor reception area of the Marana Municipal Complex at 11555 W Civic Center Drive, or at the Water Department portion of the Marana Operation Center at 5100 W. Ina Road. Monetary donations can be made through HOPE Animal Shelter. They are also in need of assistance repairing the shelter, outside fencing, sheds, and water lines. If you would like to help repair the shelter, please contact Justin Gallick or Susan Scherl at 520-792-9200 or 520-820-9448.